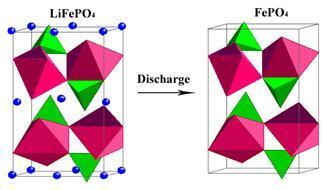 Olivine-shaped LiFePO4 did not develop as a lithium battery cathode material until recent years, and it has been paid close attention for its low cost, high theoretical capacity, working voltage, safety, non-toxicity and stable performance. However, the electronic conductivity and ionic transition are to be improved. Based on extensive research at home and abroad, this paper mainly summarizes the doping methods and mechanism of doping conductive agents, doping ions at Li and Fe sites, doping composites. Combining the relationship between structure and electrical properties, this paper analyzes unit cell structure of LiFePO4 material, grain size, conductivity, ions transition and specific capacity changes under the influence of doping. This paper clarifies from a deeper level that composite doping method can effectively improve the electrical properties of LiFePO4 material and reveals that this material would be a main research development direction in the practical application of power batteries in the future.